Written by: Stephen Chbosky and Evan Spiliotopoulos. When La La Land was sweeping the boards at every award ceremony this year (apart from the Oscar) it was heralded as the return of the musical. Yet the musical has never been away. Disney has kept the musical alive and well in their animated department but everyone seems to forget that. 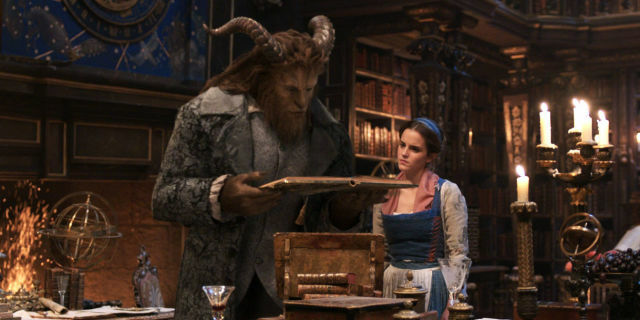 Having seen this new live action version of their 1990 classic Beauty and the Beast, it’s a gentle reminder that they have been the kings and queens of the genre for years. A small provincial town is the home of Belle, a book reading girl who lives with her eccentric father and is constantly being chased by Gaston, an egomaniac former soldier. When her father, out trying to sell his clockwork toys, loses his way and finds himself lost and at the door of a hidden castle in the forest, what he doesn’t realise is that this is the home of a beast, a prince with a curse upon him and those who live inside the castle. He must find true love before the last petal of a magic rose falls. 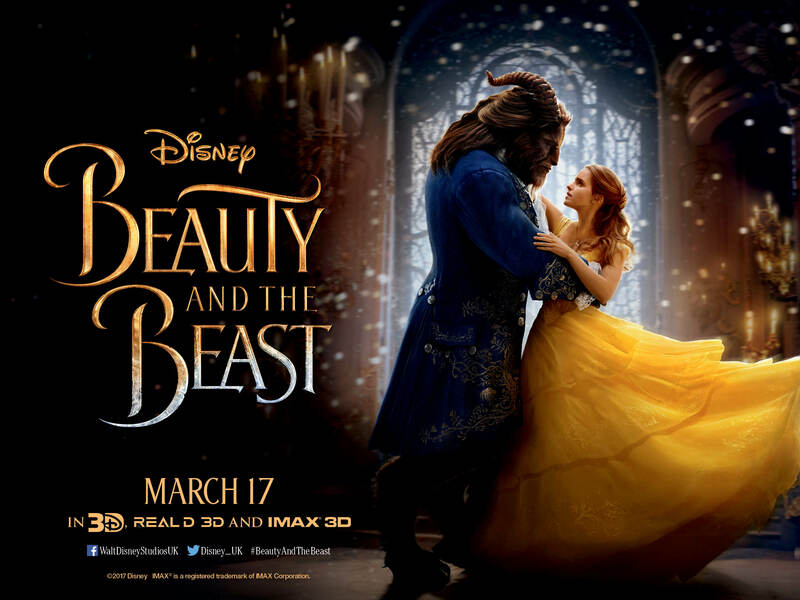 Keeping Belle’s father captive, she is determined to save him but when she takes her father’s place, Belle starts to understand that beauty could be on the inside. Director Bill Condor is no stranger to musicals, having helmed both Chicago and Dreamgirls, and as soon as the film’s first big number kicks in, you know you are in very safe hands. He expertly guides the camera around the town, filled with bright characters, following Belle as she goes about her daily routines. We are in a big and unashamedly bright musical world, so those who found La La Land too much will really hate this. These extravagant sequences are brimming with energy and fun that after each one has finished, you feel you should applaud. Particularly special are Gaston’s number, set in a tavern, where La Fou, his friend and companion, leads a praise-like oom-pah-pah style tribute to the handsome one. One of the high points of the original animation was Be Our Guest, where the creative team threw colour as well as cutlery, at the screen in a Busby Berkley manner. Condor has carefully reconstructed that number, in the film’s most spectacular moment. This all sounds glorious and magical and it is very careful not to upset fans of the 90’s film. Where there are issues, however, are in the CGI. Having wowed everyone with the use of computer generated images in last year’s biggest film, The Jungle Book, this time the visuals aren’t so grand. On the odd occasion, the scenery looks fake and digitalised, while the beast, a magnificent creation that nods its head to Jean Cocteau’s La Belle et La Bete, it is never that convincing and so distracts from the pleasure of the rest of the piece, which is a shame, as the rest of the film is such a delight. The cast gives it their all. Emma Watson, desperately trying to remove herself from her Hermoine days, may not be the greatest singer in the world but it’s pleasant enough to carry her through. 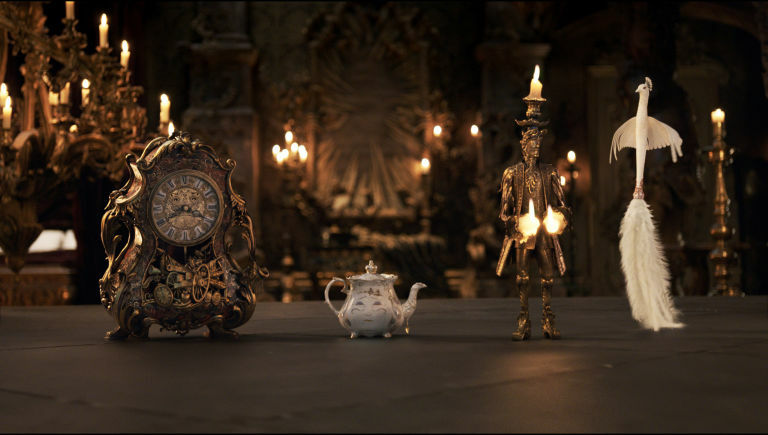 Dan Stevens has fun being gruff as the beast, while the voice talents of Ewen McGregor as Lumiere the candlestick, Ian McKellen as Cogsworth the clock, Emma Thompson as Mrs Potts and Stanley Tucci as Maestro Cadenza are deliciously fun. 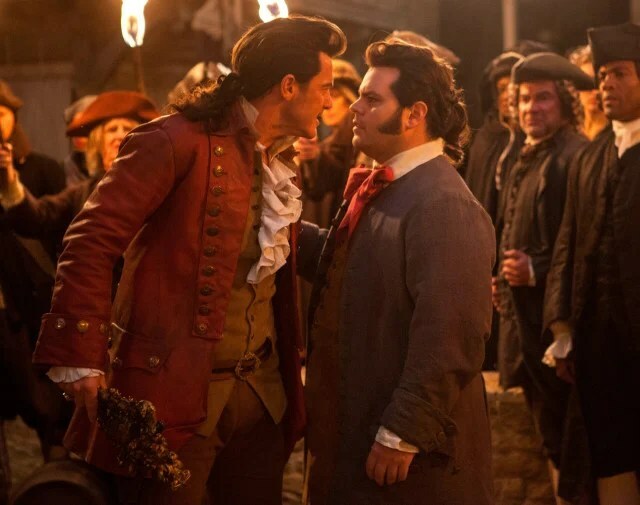 The film’s real stars are Luke Evans as Gaston and Josh Gad as Le Fou. Evans, normally looked upon as an action star, sends himself up brilliantly, with complete command of the screen every time he appears, while Gad, in the role that everyone is talking about (those fearful of the “gay” accusations thrown at the film should fear not). With his flamboyant and extravagant manners and some neat one-liners, the pair is the real stars and the film should be called Gaston and Le Fou. 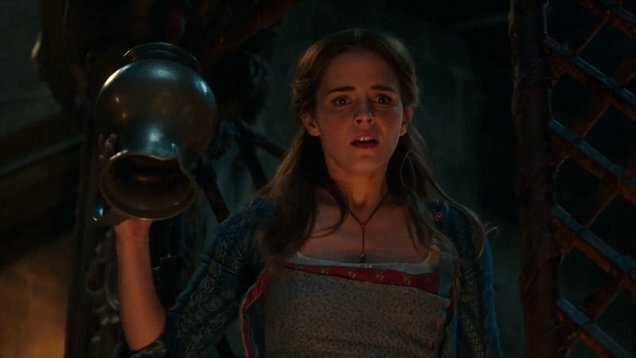 Beauty and the Beast may not be as visually amazing as The Jungle Book, or as whimsical as Cinderella but it doesn’t disappoint. It is bright, breezy fun that will leave even the hardened hearted fellow with a smile on his face and a tear in his eye. It’s delightful and I applaud it.